Halo. The first true hybrid drone. Built for professionals. 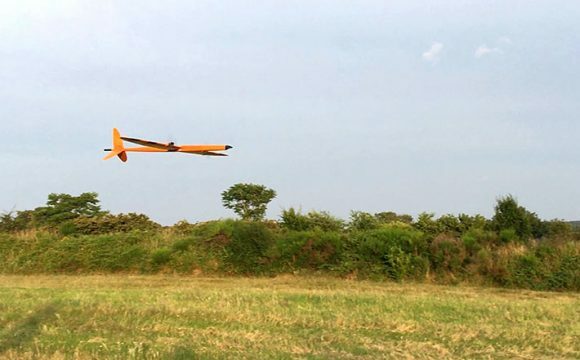 A high-performance professional-grade UAV, Halo enables close-proximity inspections over extremely long distances. 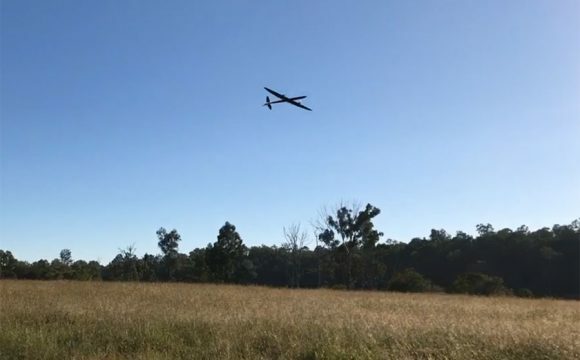 The Halo is the first commercial fixed-wing UAV which also has an efficient hovering configuration, allowing hovering flight-times which exceed 60% of its already excellent fixed-wing flight-times. Whether you need high-resolution 3D images of structures, or simply aerial mapping, Halo’s range, endurance, and portability are unbeaten. Long endurance in both hover and forward flight. Close-up inspection capability: fly like a multirotor during inspection. 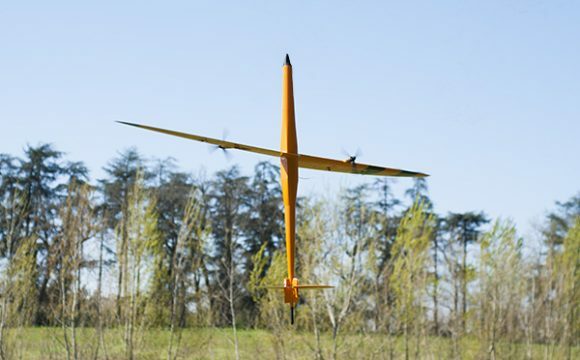 Vertical take-off and landing: launch and land reliably in any 6 x 6 m (20 x 20′) area. 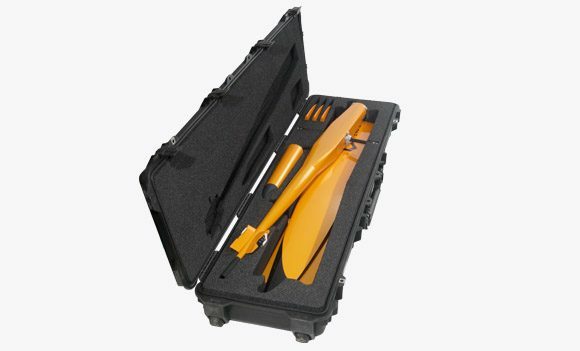 Quick-release (and tool-less) connections on wings, fins and nosecone allow set-up and tear-down in less than 60 seconds. Service agreement for peace-of-mind, including spare parts, software updates and support. Below is an animation which demonstrates the intended use of the Halo 240-E inspection UAV: a very basic flight profile consiting of take-off, transition to forward-flight, general forward-flight use of the gimballed sensors, transition to hvoer, use of the sensors during hover, return to base, and landing. Hybrid rotor/wing aerodynamic surfaces are the ultimate solution to creating a VTOL aircraft which is efficient in both its flight-modes. A high-aspect-ratio wing aeroplane is the most efficient configuration for forward-flight. And for hovering flight, efficiency increases with the area of the rotor-disc. Turning the high-aspect-ratio wing into a rotor gives the best of both worlds! For more technical details, check out our FAQ. 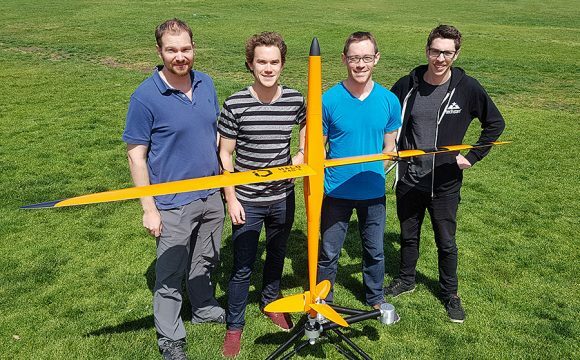 Using cutting-edge materials and manufacturing processes, patent-pending electro-mechanical systems, and a design which removes the mechanical complexity from the tail, Halo is as efficient as an aeroplane can be in forward flight; and it can hover for longer than any multirotor in its weight-class! 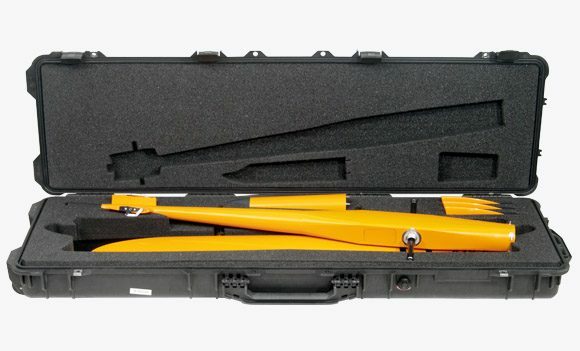 This mapping version of our Halo UAV series provides aerial imagery for mapping and topographical measurements. Payload options include high-resolution still cameras, and multispectral and thermal cameras. 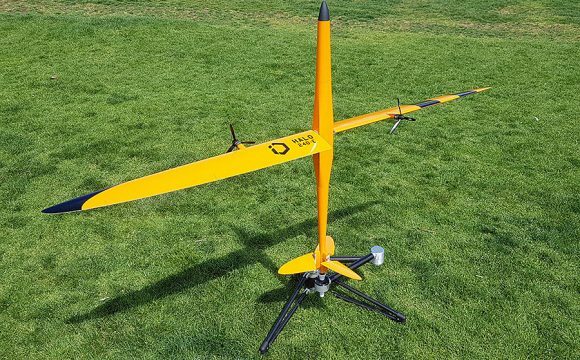 Using the same technology as the inspection model, the mapping model is slightly lighter, and is the ideal solution for agricultural and environmental mapping.